Our goal is to raise 12,500 by March 27th 2017! WV Hemp is a campaign of the West Virginia Hemp Industries Association, a non-profit trade association that represents farmers, businesses, researchers, and investors working with industrial hemp in West Virginia. We also work closely with the West Virginia Farmers Cooperative. Our goal is to provide education on the benefits of hemp while advocating for accelerated expansion of the hemp industry in the Mountain State. What will the money accomplish for WVHIA? The West Virginia Hemp Industries Association is pushing to make our state the center of hemp industries for the Eastern seaboard for the benefit of your hemp farm or business! How can we do this? First, we need to educate the citizens – and politicians – of West Virginia about industrial hemp and the economic and environmental opportunities it brings. Your donations will help us develop marketing and educational strategies to implement across the state, and will directly influence both local and national representatives as we advocate for legislation that will allow the industrial hemp industry to thrive. Your money will support first-time farmers on their journey to farm a new cash crop in the state. 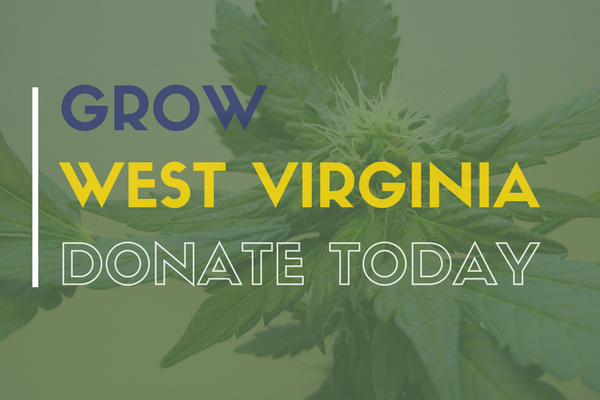 We are creating a support network that will be the foundation for investment and growth of the hemp industry in West Virginia. West Virginia is a beautiful state with incredible biodiversity and water resources that make us perfect for growing industrial hemp. This is the second year of licensed hemp cultivation for farmers in 12 counties across the state. Efforts to increase the supply chain for hemp can start to provide opportunity for the thousands of our coal miners are currently out of work. Our state needs a new industry to help our citizens and our downturn economy. The nexus between energy and agriculture will define the future of innovation and entrepreneurship in our state. Hemp compliments the assets of West Virginia and provides a solution for diversification and long-term resilience. A stronger economy will improve the businesses climate across the board. The time to invest in your future is now. How can people help aside from donating? One of the best ways you can help support our cause is by becoming a member of the West Virginia chapter of the HIA. 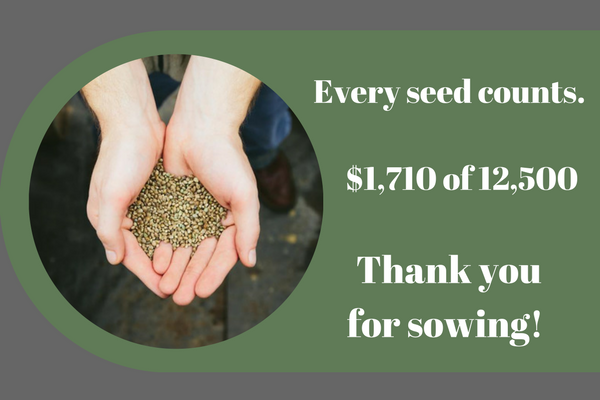 Your membership fees will help support hemp development efforts on the state and federal level. Another way you can help is by following us on Facebook and sharing our campaign with your friends. Word of mouth is a big help too! Talk with your friends and families about putting the old farm back to work. Our campaign is only thirty days, but the impact could last a lifetime. We strongly encourage you to join the WVHIA and collaborate with the entrepreneurs and innovators who will usher in a new era of prosperity for our great state. How can I learn more about Industrial Hemp and its benefits for West Virginia? Go to our website at wvhemp.org or wvhia.org and check out the various resources and information. If you have any questions, connect with us! We'd love to discuss how Industrial Hemp can benefit you and our state. Today is the last official day of our campaign! Please share this great opportunity with your friends and family. With only seven days left, we have far to go and we need your support now more than ever. Remember to share the campaign through social media and by word of mouth. In the meantime, check out this wonderful video by Stephen Stonestreet of the first planting for 2017! We want to say a big thank you to everyone who has donated so far. Our campaign is off to a great start, but we have far to go if we want to reach our goal. In the meantime, we are working hard. As Spring approaches, our 15 hemp farmers are preparing their plots for growing as they claim their early adopter status, pioneering a new agricultural industry from the ground up. Be sure to also share the campaign! We appreciate your support! You’ll receive a personal email from the WVHIA President and be added to our email list. A digital cookbook full of hemp-based recipes for you to try at home! It will be sent directly to your inbox for you to download. You and three of your friends will take a tour of a local hemp farm and end the afternoon with a relaxing picnic. You and 6 friends will be invited to tour a local hemp farm and learn how to make hemp foods, paper and more! End the day with a relaxing picnic. I have applied and received a provisional patent to grow Hemp on my newly acquired WV property. I have a lot to learn and figure out but completely want to see this through. I HAVE BEEN LOOKING TO SEE HOW FAR THIS HEMP IS GOING WV. Good Luck! Here's to a bright future for hemp in West Virginia! Thanks for all the good work you are doing! Happy to contribute to a great cause for WV.